You know when you have a niggling back ache, a stiff neck or tightness through the shoulders and you think to yourself, I could do with a massage? 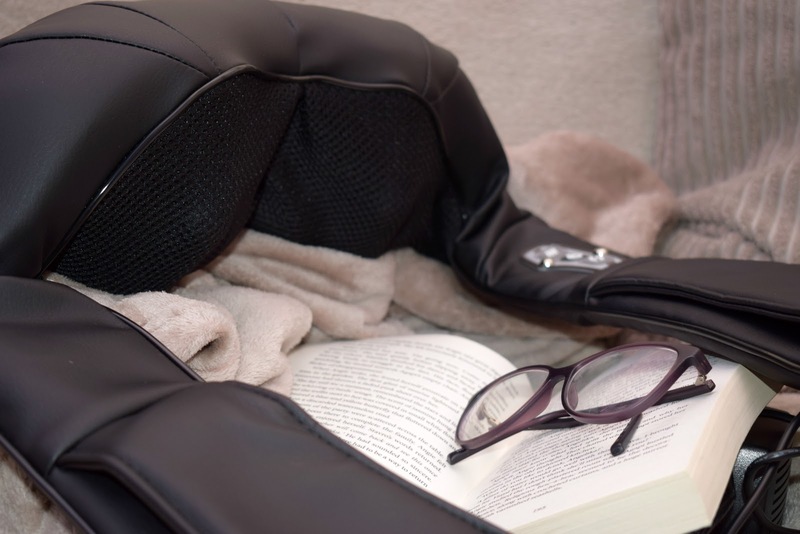 well I may have just the thing for you the Naipo Shiatsu back neck and shoulder massager* is an electric deep kneading massager with the added benefit of heat, the Naipo massager has 8 nodes that work together, to provide you with a deep massage perfect for tight knots and tension. Both my husband and myself have used this several times, when you first put it on, it does feel quite intense but after a couple of minutes you soon get used to the deep massaging and start to enjoy it, I found it particularly helpful for my lower back pain, you just wrap the Naipo around your back turn it on and add heat if required. The massaging pack itself is quite heavy duty and really looks the part, it has two handles to put your hands through when wearing around your shoulders to keep it in place, as I mentioned earlier it has 8 nodes that knead and massage your muscles in both an clockwise and anticlockwise motion, just press the heat button to add a gentle warmth to the massage. 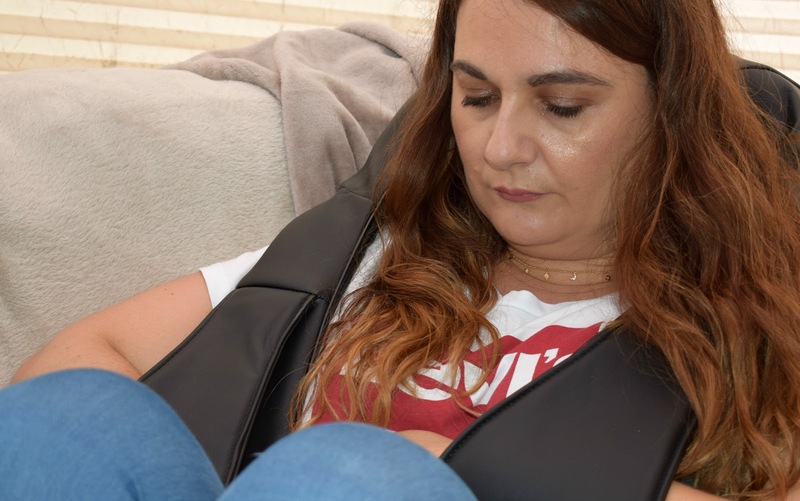 My hubby loves this things and has a go whenever he can, he really enjoys the neck and shoulder massager and says it's great after a stressful day at work, to really loosen those knots. 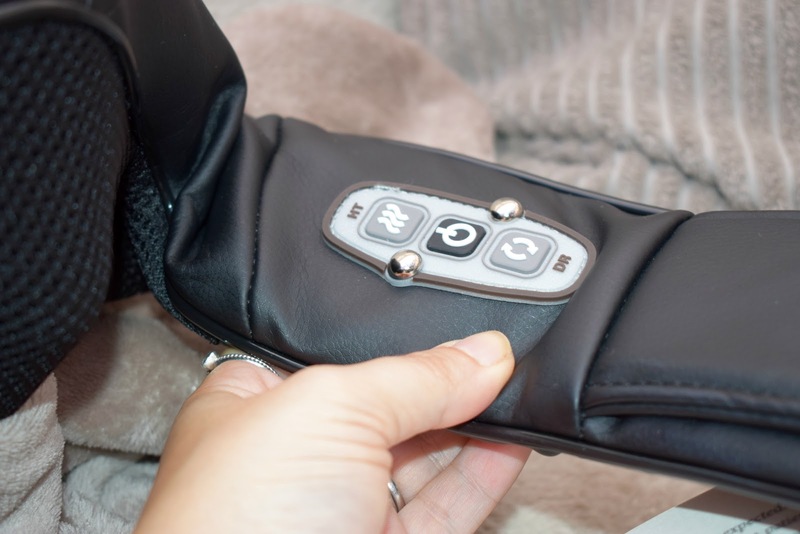 The Niapo massager is super easy to use no complicated instructions and no batteries to go flat, just plug into the mains, and turn on, you can also add heat or change the direction of the massaging, its that easy, just get comfy on the couch or in bed, turn on the tv and enjoy a deep shiatsu massage. 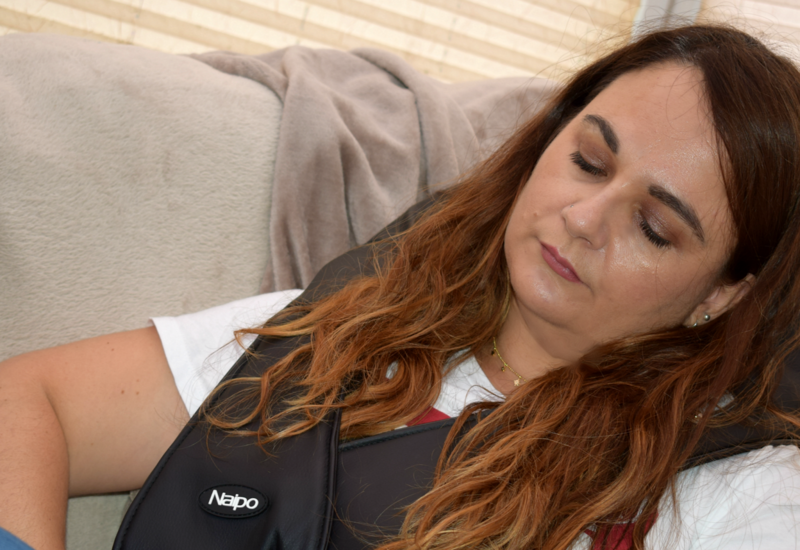 We have both enjoyed using the massager, and found it beneficial, the Naipo shiatsu massager is available to purchase from Amazon, an is currently on offer at £37.99.